Welcome spring with the bold colors of the Audrey binder. 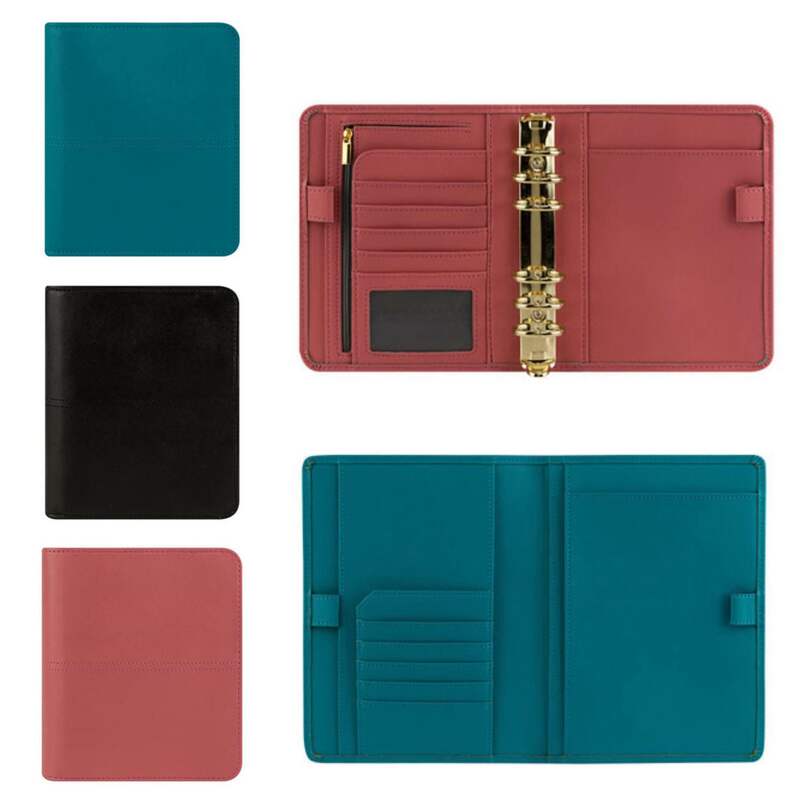 Made from durable faux leather and embossed with a fabric pattern, these striking binders add protection and a pop of color to your day. The unstructured design allows your binder to bend comfortably in your hand and open flat at your desk. Loaded with interior organization including card pockets and ID window, pen loops, a notepad slot, an open pocket, and a zipper pocket, this binder is sure to keep you moving in an organized fashion. Audrey is available in Compact and Classic ring-bound binders, as well as a Classic-sized cover for your wire-bound planner. The Compact binder offers 1.25” rings and the Classic-sized binder gives you 1.5” rings—giving you plenty of room for your big plans. Available in three colors: Raven, Ocean, and Strawberry.